What did my Lemon Rosemary candle smell like? 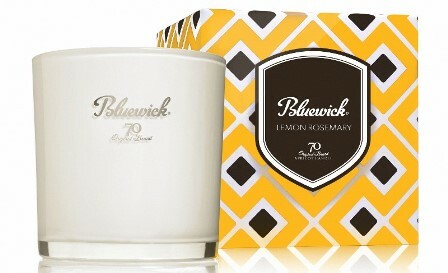 Lemon Rosemary from Bluewick was a fragrance I couldn’t wait to purchase. I am a huge fan of lemon and to add rosemary to the mix made it even sweeter. Before I delve into the fragrance… have I mentioned how much I love the size of Bluewick candles? I know I have but will say it again because it always amazes me when I hold one in my hand. For a luxury brand, they are very generous with their sizes. 17oz for a luxury candle? Unheard of. Most brands average 5 to 8 ounces. Bluewick’s candles are beefy and heavy so you definitely get your money’s worth, especially if you hit one of their incredible sales. Simply stated and pretty accurate. Smelling the wax for the first time, I’m pretty sure I smelled all of the elements in the description. The rosemary smelled more like mint though rather than herbal rosemary. Overall, very nice and I liked it. Time to see how this candle performs! I lit this candle in a large bedroom to start out and ended up moving it to a medium sized room for optimal scent throw. I was after a strong aroma with this candle and the scent throw was definitely stronger in a medium size room or smaller. Once lit and the candle reached a full melt pool, the fragrance saturated every nook and cranny of the bedroom and I loved every second of it. The fragrance… a sweet lemon scent with a delicious blend of vanilla and amber. I really didn’t detect rosemary at all which would have been nice but overall, this was still a wonderful lemon fragrance. Strength – on a scale of 1 to 10, I would rate this candle a 6 in a large room. 8 in medium room and 10 in a small room. My candle burned great. I just had to stay vigilant with wick trimming. My candle burned clean and even from start to finish. I really enjoyed Lemon Rosemary and would definitely purchase this fragrance again. It wasn’t your average lemon. It was sweet but creamy. Very soothing and different. I liked it. My only real critique would have been adding more Rosemary to the mix. I really didn’t detect that element. If you plan on trying this fragrance, I would stick to a medium sized room. Anything larger and you won’t be able to appreciate the fragrance and you’ll definitely want to. Bluewick has closed their doors and are out of business. We will keep the reviews we have done of this brand up for reference only.